Google the term Israeli martial arts and you get over 1.7 million pages. A quick glance at the Wikipedia entry will reveal two short lines listing two names, Kapap and Krav Maga as Israeli Martial Arts. Although there are several other names used for Israeli Martial Arts, these two are the most well known, and they captivate the imaginations of millions of people around the world. 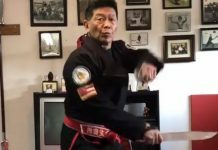 A discussion of what constitutes an Israeli martial art would easily provide the bases for an article, but it will not be the subject of this article. Instead we will discuss the many misconceptions regarding Israeli martial arts and its origins. Misconceptions regarding the origins of Israeli Martial Arts abound. Given the copy paste culture created by the internet and the scope of coverage of both Krav Maga and Kapap, this is not surprising. A quick glance across the web will supply ample evidence confirming this statement. So much of this web information affirms and reaffirms information about Israeli Martial Arts, but this affirmation and reaffirmation does not make the information true. 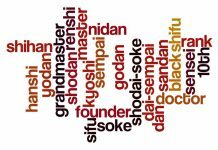 In martial arts styles, oral tradition plays a significant role in the history of the arts. We all know that oral tradition is not necessarily reliable historically. As an example, researchers found that within decades documented oral traditions of lineages in African tribes had significantly changed, altering perceptions, relationships and historical facts. The same holds true in the world of martial arts, both in the east and in the west. For this reason, it is of paramount importance that we look at the historical unfolding of events as accurately as possible, recognizing the various stages of development of Israeli Martial Arts and attributing specific innovations, changes and adjustments to those responsible for the process. 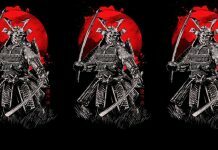 For the purpose of this article we will concentrate on pivotal pieces of information commonly disseminated, their place in Israeli martial arts history, and the information’s relationship to what some call the new “upstart” Kapap. 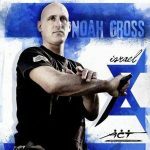 Following are five links to web information about Israeli Martial Arts from different organizations. The information tells the same basic story, with only slight variations. All of these “histories” condense Israeli Martial Arts history and in so doing they distort history, creating misleading impressions of the historical events they describe. Some of the “histories” are simply ignorant of real history, others omit important facts that don’t fit the story they are trying to tell. For the sake of this article we have chosen to focus on a pivotal moment in Israeli history, the transition of the Jewish community into statehood and the formation of its military, the IDF. Let’s look at one example of these “histories” as they are presented on both private and organizational web sites and analyze what they are telling us. 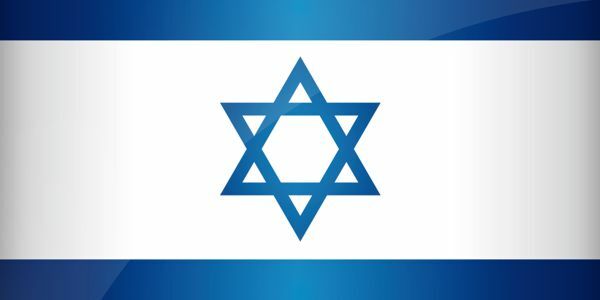 In 1948 a state is formed called Israel, it has a government and the government commissioned a person to develop an effective system of self defense. This system later became Krav Maga. The Hagana was eventually incorporated into the IDF. 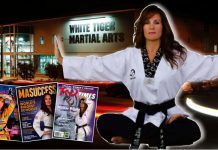 Imi became the chief instructor for the military school for Physical Training and Krav Maga. Upon the inception of the state of Israel in 1948 a government was formed. This government was directly involved in micro managing the military and therefore commissioned a man named Imi Lichtenfeld to develop a self defense system to replace the ineffective unnamed systems used up until that point. The system was developed and at a later stage was called Krav Maga. A military school for Physical Training and Krav Maga was formed and Imi became the chief instructor of this school. Please note the lack of mention of dates in the process. This allows the condensing of time periods and allows the switching of the order of events. At this point we must stop and ask, are these statements and their implied meanings true and accurate? The answer is no, they are not accurate. A government was indeed formed but was not involved in micro managing the military and therefore it is unlikely that individuals within the government would ask someone to develop a self defense system. This system was supposedly developed for military use, as there was no other purpose at the time. Military hand to hand combat is not about self defense and this sort of language is conceptually wrong. The reference to this self defense system also implies that whatever system was being used at the time was ineffective. The omission of Kapap is convenient and thus no conflict is created regarding its existence prior to Krav Maga. To critically analyze the events and properly organize them, two elements were necessary. The first, knowledge of historical events in their chronological order and second, a familiarity with the biographical background of the person about whom this information is being delivered. To be fair to the authors of this paragraph they did provide background information on Imi regarding the years preceding the events describe. We omitted them so we could keep this article to a reasonable size. It would have been just as revealing to dissect the preceding paragraphs. Sadly, we would find them to be rife with the same kind of mistakes and distortions. Following are historical dates, and to find the answers we are looking for, we need to compare these dates to Imi’s personal biography. In 1920 the Hagana is formed as a civilian militia whose charter is to protect the Jewish community in mandatory Palestine. From this moment, and even before, there is a constant exploration of hand to hand combat and training methodologies. In January 1941, hand to hand combat disciplines such as boxing, knife fighting, stick fighting and jujutsu are taught separately with guiding principles and uniform methodologies under the name Kapap. The first Hagana Kapap instructor’s course takes place. The courses chief instructors are: Maishel Horowitz, Menashe Harel, Gershon Kofler, Yitzhak Shtibel. In May 1941 the Palmach is formed jointly with the British military mandate forces. Shortly after its formation, the Palmach goes underground and becomes the Hagana’s standing military force besides its militia forces. In May 1941 Maishel Horowitz is brought to the Palmach to teach his stick fighting method as part of the first Kapap instructor’s course for the Palmach. Moshe Pinkel Zohar is appointed chief instructor of physical training in the Palmach and remains in this position until 1948 when the Palmach is incorporated into the IDF where Moshe Pinkel Zohar continues to fill this position. On November 29 the UN General Assembly passes Resolution 181 which is a Partition Plan for Palestine, a two state solution. As a result of this and the rejection of the plan by the Arab leadership, civil war broke out between both communities in Palestine. In May 1948 the state of Israel is formed. The Arab states respond with a military invasion of the state of Israel, turning the conflict into a full blown war. Within two weeks of the declaration of Israel’s independence the IDF (a conscript army) is formed, integrating the three Jewish underground organizations Hagana, Palmach (Palmach was part of the Hagan and not an independent organization. It was the Hagans standing army) and Etzel and Lehi into one military body. In May and June 1948 the service for physical training (Sherut Leimun Gufany) in the IDF is formed and the head of the service is Moshe Pinkel Zohar. Within the service a school for physical training is formed and its chief officer is Mairon Avramson. In June 1949 the service for physical training is decommissioned and replaced by the branch of physical training. The school and its staff all continue in their same capacities only as part of the branch. In September 1948 the first documented use of the term Krav Maga is used interchangeably with Kapap. The first instance shows up in the documents of an officer named Amos Golani, whose job is to supervise the physical training in the combat field units. 1954 the terms Kapap and Krav Maga are still used interchangeably in official documents. In 1920 Imi is 10 years old and living in Bratislava. In 1939 Imi is head of a Jewish self defense group in Bratislava. At this time he has experience as an accomplished sports wrestler and boxer and knows jujitsu. In 1940 Imi leaves for Israel. In 1941 he is in active duty in Czech Legion under the command of the British military and he serves for a year in Egypt, Libya and Syria. In 1942 Imi arrives in Israel, and upon the recommendation of former comrades of his self defense group is conscripted into the Palmach. Between 1942-1948 Imi functions as a Kapap instructor teaching knife, jujutsu and boxing according to the Palmach curriculum. In 1948, with the integration of the Palmach into the IDF and the formation of the school for physical training Imi is commissioned as one of the eleven instructors on staff at the school. Sometime between 1956 and 1958, Imi becomes the chief instructor of physical training and perhaps the head of a new branch formed, the Krav Maga branch. It is yet undetermined when this branch was formed, it is however known to have existed as early as 1958. Documentation confirming earlier dates has yet to be found. Review of documents from the period 1956-1958 is still pending. No witness accounts have been found to confirm any earlier dates. In 1963 Imi retires from the IDF and opens his civilian Krav Maga club in Netanya. The task at hand is to marry both timelines and then compare them to the condensed narrative presented on the websites quoted in this article. In 1948 the IDF was formed and the forces of the Palmach were incorporated into it. 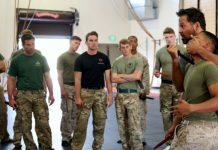 As a result, Imi Lichtenfeld, a talented Kapap instructor, was commissioned alongside his fellow instructors and officers to keep teaching and training soldiers in the hand to hand fighting disciplines known at the time as Kapap. Imi was in active duty as a hand to hand and physical training instructor in the IDF for 15 years. During those 15 years he was part of the process of developing the hand to hand combat disciplines in the IDF. Imi rose in rank and responsibility until in the last five years he headed the newly formed Krav Maga branch in the IDF. This period seems to be the time frame during which Krav Maga began transitioning into an “integrated system” made up of Kapap’s structure group of hand to hand combat skills and using Kapap’s guiding principles. What do we deduce from this timeline compared to the popular narratives cited? There was no commissioning of any persons to develop a system, but a known group of people are responsible for a recognizable process of evolving the existing system, adjusting it to the times and organizations using it. There was no unnamed ineffective system to replace, but rather the known system of Kapap, its disciplines, principles and methodologies were used as the foundation. There was no head position and no branch for Imi to be the head of until a much later period of time. As it turns out Kapap was the precursor of Krav Maga. Krav Maga, at its outset, was simply a new version of Kapap. Even though Krav Maga has sprouted many different civilian versions, one can still recognize the roots of Krav Maga as reflected in historical Kapap. Modern Kapap, on the other hand, can be recognized as being true to the approach and philosophy of Kapap but not based on its physical attributes. When we are willing to reexamine what we believe to be the story of Krav Maga and Israeli Martial Arts, then we will be able to appreciate the contributions of all those figures, such as Imi Lichtenfeld, who helped develop Israeli Martial Arts. We have looked at the unfolding of historical events around the development of Israeli Martial arts as accurately as is possible at this time. We recognize the various stages of it’s development and therefore we can attribute changes and adjustments to all those who played a role in the process of developing Israeli Martial Arts. In light of historical facts, we see Imi for who he was, a pivotal figure in the transition from Kapap to Krav Maga and he is the originator of civilian Krav Maga. 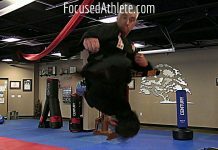 Martial arts have been the center of Noah Gross' activity and focus for most of his life. He is the co-founder of A.C.T. - armed combat and tactics, a full contact weapons based system created by Alexander Zheleznik.